October 15, 2017 Sarah F.
Sorry for the delay in reports, it has been a very busy October so far. The fishing has been very consistent over the past week, and w=tih fall water levels and stable weather, the Yakima is fishing great from top to bottom. 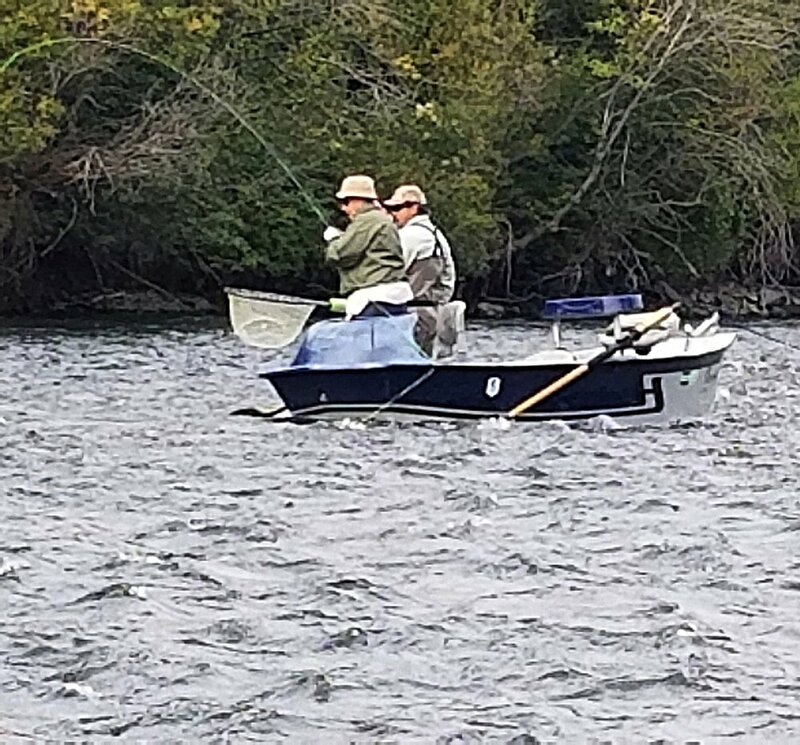 Nymphing early in the day has been solid with an #8-10 Pat's Stone trailed by a WD-40, Copper John or T.Ready Baetis in #16-18 picking up fish in the walking speed water with 3-5' of depth. The dry-fly fishing has been good in the afternoons, especially if there is cloud cover. BWO and Mahogany Dun imitations have beengetting some looks, even when there are no fish up actively feeding. Don't overlook the shallow water when tossing dries, we have been seeing some nice fish picked up out of shallow seams. Don't miss out on all that fall has to offer here on the Yak!